Century-old bungalows, stunning views, guided tours of plantations and the best tea in the world. Skip the boring hotels and experience an atmospheric stay at these old heritage cottages in lush tea estates in north Bengal. Just 75 km away from NJP, the Fagu Tea Estate in Dooars makes for a pocket-friendly but experiential stay that’s steeped in the old-stately luxuries of the bygone era. Sitting atop a hill, the sloping bungalow look out to the majestic Kanchenjunga and the endless acres of tea plantations that lie at its foot. Get lost in the old charm of antique furniture and stone fireplaces of the bungalow or go for a tour of the tea estate. Or take a walk downhill and check out the beautiful waterfalls and the picturesque village of Fafer Kheti. Started by a Scottish tea planter in 1859, Glenburn makes for a stunning experience that is almost akin to the vineyards of Europe—a rustic, tranquil, arcadian retreat that’s lost in time, place and luxury. Enclosed within 1,000 acres of private land and with two rivers running through it, Glenburn’s colonial Burra Bungalow and the Water Lily Bungalow overlooks the snowy peaks of Kanchenjunga and looks out to the town of Darjeeling. Stay in the suites of the bungalows or in the campsite lodge in the estate, but do take the tour to see tea travel from the garden to the cup. Go birdwatching by the river side or sit outside in the lawn to enjoy high tea, this estate is perfect for a tranquil and experiential stay. 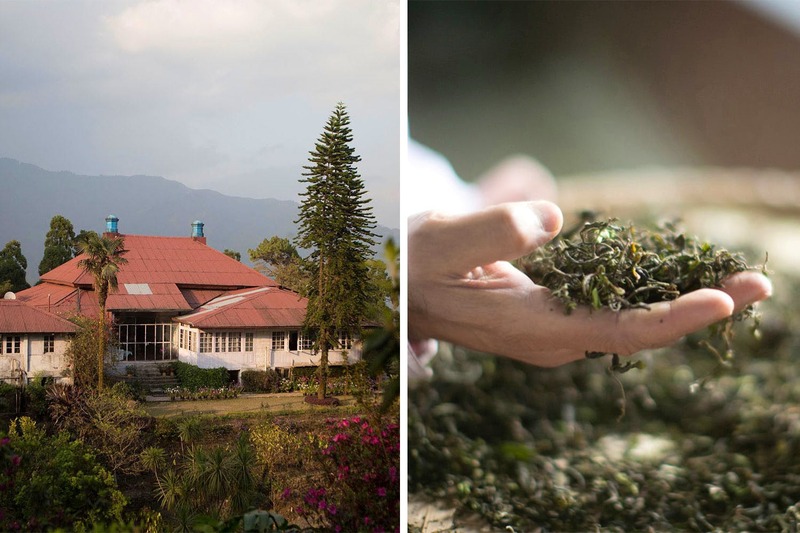 Located in the middle of Mirik Valley, the Sourenee Tea Estate is known to produce certified organic tea and houses a century-old three-storied bungalow. Sitting atop a small hillock, the bungalow’s red gabled roof and white picket fence adds to its quaint vintage charm. Sit by the balcony sipping on tea and watch the women work in the overlooking tea bushes or take a guided to go around the estate and the organic farm. It’s 20 minutes away from Darj, and is one of the oldest tea estates in North Bengal. Singtom’s old bungalow has four luxurious rooms that come doubled with modern amenities and Victorian influences. Don’t give the tea estate tour a miss, but with four trekking routes starting close to this place you could also try hiking, if you’re into such adventures. Wind your way from Siliguri towards Darj and you’ll come across Goomtee Tea Estate on Hill Cart Road. Once the tea planter’s bungalow, this heritage colonial tea retreat sits on the undulating tea gardens and is flanked by a wide lawn. The polished wooden floors, moulded ceilings and the colonial bric-a-bracs spread across the bungalow make for a vintage setting to lapse in. Hike around the tea slopes, interact with the tea workers or just spend a quiet afternoon reading in their library — Goomtee is the place to be if you are looking for some p&q while craving for warm hospitality.